Extra protection and stylish perks comes with these lens coats. 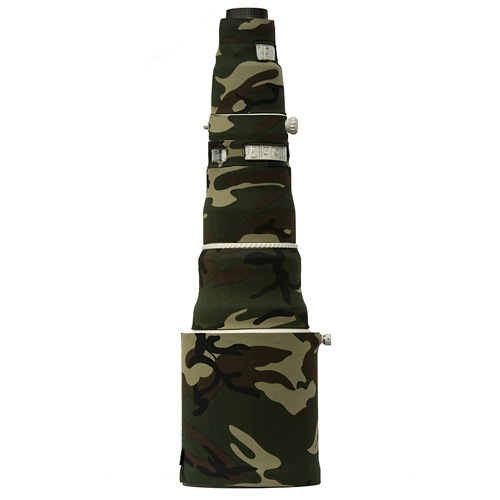 Your gear will be kept safe and scratch free for longer and for the safari or wildlife enthusiast these coats offer excellent camouflage. A telephotoTELEPHOTOA lens with long focal length capable of making distant objects appear nearer thus larger. Essentially, it isolates and magnifies the subject so that it appears as a full image when shooting from a distance. Telephoto lenses are ideal for photographing subjects that are further away, such as wildlife and sports photography. lens cover is an accessory that offers your valuable equipment some protection from bumps and scratches, preserving the resale value. It also helps to break up the shape and camouflage your lens making it less noticeable to wildlife. The LensCoat for the Canon 600 f/4 with IS II features a clear plastic window over the autofocus and Image Stabilization controls, and also the distance scale. A small hole on the last segment lines up with the red dot indicator, making it real easy to quickly line up your lens with the camera mount, even with the cover installed.